Is Forty Niner still alive? If he is, he's 30 years old this year. I know that there's members here who have knowledge of the goings-on in Japan, so I'm hoping to get an answer. I had a conversation today with a couple of trainers here at Santa Anita that pretty much scoffed at me for suggesting that Forty Niner was still alive......like a horse can't live to 30 years of age. Forty Niner was a horse with a name in No America, and I can't believe that he would have died without any mention in stateside media. Ferdinand was an abject failure at stud and drifted into oblivion...ultimately to a slaughterhouse. 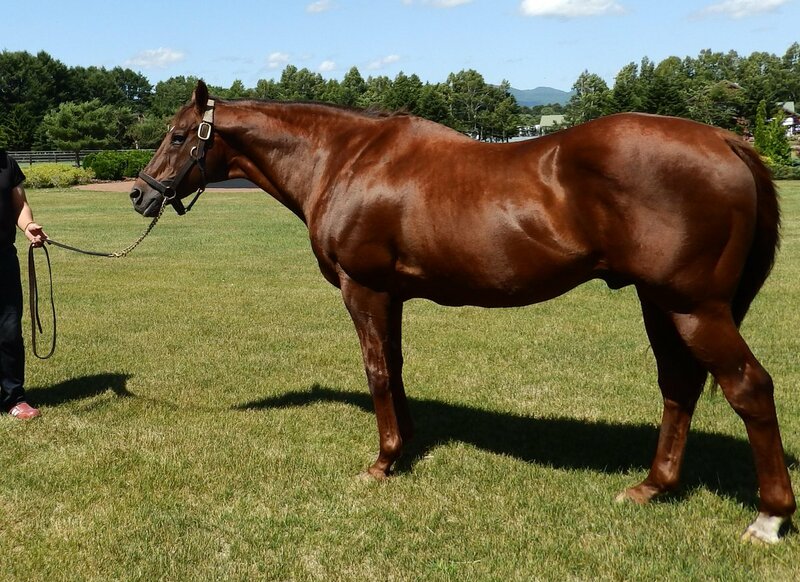 Forty Niner had some success in Japan. He was certainly no Sunday Silence, but he did enough there to keep him from being served up on somebody's dinner plate. Sorry for the rambling there....is Forty Niner still alive, and if so, where is he now? That's my question. He is alive as far as I know. I've not seen otherwise. He is pensioned at Shizunai Stallion Station in Japan and was alive as of October 2014. I love that horse. Hope someone can find out. Tachyon posted a 2014 picture of him in the Stallions thread. He looks fantastic. Once upon a time there was a horse named Kelso. Thanks for the responses. I realize that I probably should have posted this question in the "Stallion News" thread, so I apologize for that. I'm a huge lover of Claiborne, but when they sold Forty Niner over the Pacific Pond, it broke my heart. I do know that Michael Blowen of Old Friends tried for several years to bring him home, but Japan was having none of it. Blowen probably gave up when Forty Niner's age made it impossible to for him to make the trip. Anyway, thanks again. I really appreciate it. 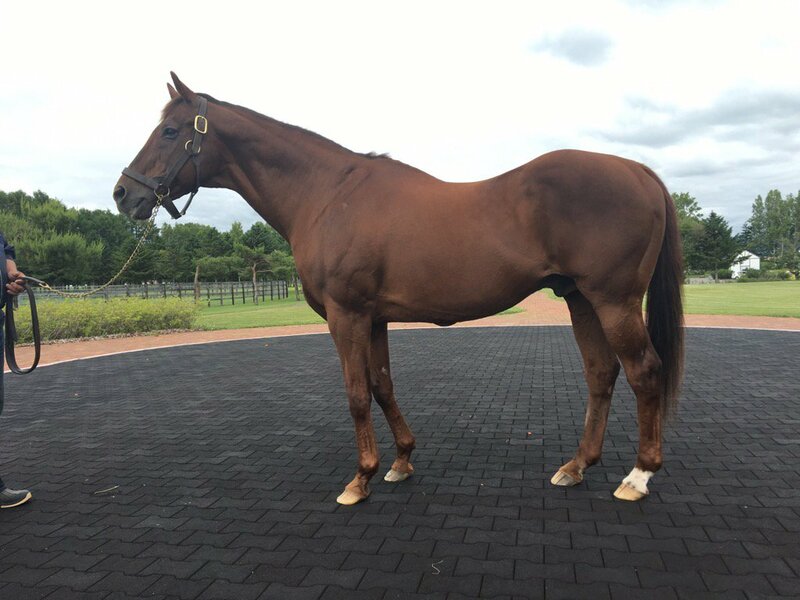 Naoya Yoshida (of Winchester Farm at Lexington KY) has posted a new pick of Forty Niner(USA) which turned 30. As Yoshida tweeted, Forty Niner is in good shape and looks very young! WOW!! On a somewhat related note, is Naoya Yoshida related to the Yoshidas of Shadai/Northern/Oiwake Farms? I'm glad that Forty Niner is clearly a pampered pensioner....and also glad that he wasn't shipped back to Old Friends. With all due respect to Blowen and the dedicated staff at OF, I've never been in favor of shipping senior stallions halfway around the world, just so some fans can see them in Kentucky. IMHO, Silver Charm could have stayed in Japan, where he was treated like a star, instead of being moved away from a place HE had come to know as HOME. Is a drafty old barn and muddy field in Kentucky really better for him? Alysheba only lived a few months after he was shipped back to Kentucky. Would it have been better for him to have stayed in the Royal Stables in Saudi Arabia, even if it meant not getting a few cute photos of him with his former jockey or trainer? BaroqueAgain1 wrote: I'm glad that Forty Niner is clearly a pampered pensioner....and also glad that he wasn't shipped back to Old Friends. I agree completely. After seeing photos of the facilities where Silver Charm lived in Japan vs. Old Friends, plus his age, I thought it may have been kinder to just leave him at JBBA. Such a solid looking boy, hope he has some good, happy years in him still. He is well cared for. Give me that short lead, give me that win by a nose, get them all home safely! How much success did Forty Niner have in Japan? Northport wrote: On a somewhat related note, is Naoya Yoshida related to the Yoshidas of Shadai/Northern/Oiwake Farms? Naoya Yoshida is remotely related to the Yoshidas of Shadai Group. His great-grandfather Gontaro Yoshida, the founder of Yoshida Bokujo, was a younger brother of Zentaro Yoshida. Zentaro Yoshida is Teruya/Katsumi/Haruya Yoshida's great-grandfather. But I believe that Yoshida Bokujo and Naoya Yoshida's Winchester Farm's operations have no relationship with Shadai Group now. middleground wrote: How much success did Forty Niner have in Japan? Between that information & Wikipedia, it seems like from when Forty-Niner was sent to Japan (1995) through his last crop, he sired 525 starters with 395 winners... That doesn't sound too shabby. Here's another recent pick of Forty Niner. I am one who hates to see these guys leave for Japan or other ports of call, but I agree with you on this one. They are older, set in their ways and that is now their home. I was able to get some awesome photos of Alysheba in Saudi Arabia from his handles there and he looked quite happy. I wish he never would have left in the first place, but what is done is done, and you can't turn back the clock. So I think, unless they will not have a forever home in retirement, then they most likely should stay in whatever country they were exported to. Its great to see these old stallions looking awesome in retirement. I always associate him and Seeking The Gold because of their racing days, their affiliation with Claiborne, and both being important sons of Mr. Prospector. Its awesome that they are both living the good life as pensioners at age 30.